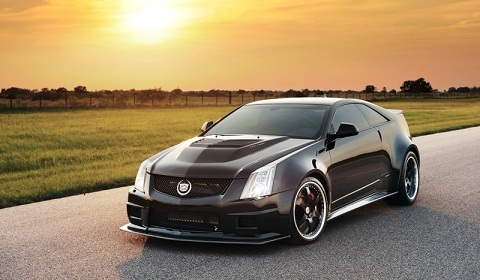 Hennessey released details of a limited edition, 1,200hp version of the Cadillac CTS-V Sport Coupe today. 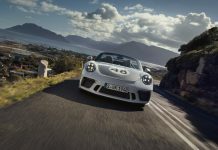 Just twelve will be produced and each will feature upgrades to the engine, gearbox, suspension, braking system and aerodynamics, as well as a range of interior upgrades. To start with the engine, Hennessey took the basic 6.2 liter V8 LSA engine out of the CTS-V Coupe and replaced it with a 427 CID aluminium V8. To this, forged aluminium pistons, steel connecting rods, steel crankshaft, ARP main studs and head bolts, high flow cylinder heads and a Hennessey VR1200 camshaft were added. The extra power comes from a twin turbocharger setup with an upgraded fuel system, upgraded injectors and dual wastegates. One interesting aspect is the fact that the boost is adjustable with settings for 800, 1,000 and 1226hp. The exhaust system includes stainless steel downpipes, Henessey also fit an air-to-water intercooler and a high flow air induction system. The entire system gets engine management calibration, both dyno and road tests and exterior and interior badging. The engine features a three year, 36,000 mile limited warranty. Transmission upgrades focus around a dual-friction clutch upgrade sourced through transmission specialists Centreforce. For an extra $20,000 an automatic box is available with a torque converter. Braking system features Brembo 15.1 inch ceramic rotors, eight-piston at the front and six-piston at the rear. The suspension gets lowered by an inch at the front and rear with upgraded front and rear swaybars and a tuned version of the factory magnetic ride control. To complete the aggressive new look, a carbon fibre front splitter has been added along with a rear diffuser, front fender extensions, an extractor hood and rear fender flares. Inside, Hennessey fit an alcantara headliner, carbon fibre door sills, upgraded leather and stitching, embroidered headrests and a set of Hennessey branded floormats. A comprehensive kit!